"It's all about Evie". That's what Casey and Adam told me over the phone when we had their wedding photography consultation. 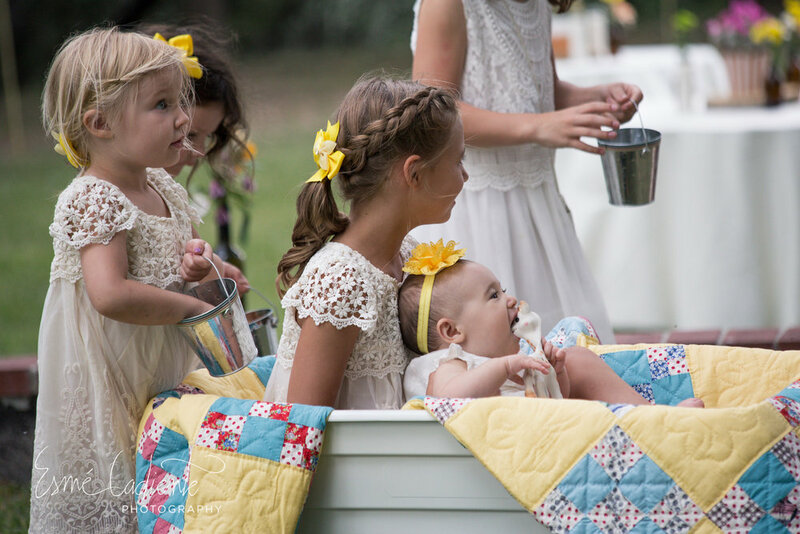 Their gorgeous baby Evie made this an easy job for me. She was smiles the whole night, almost like she knew this was an extraordinarily special day. Casey and Adam have been wanting to get married for a long time. 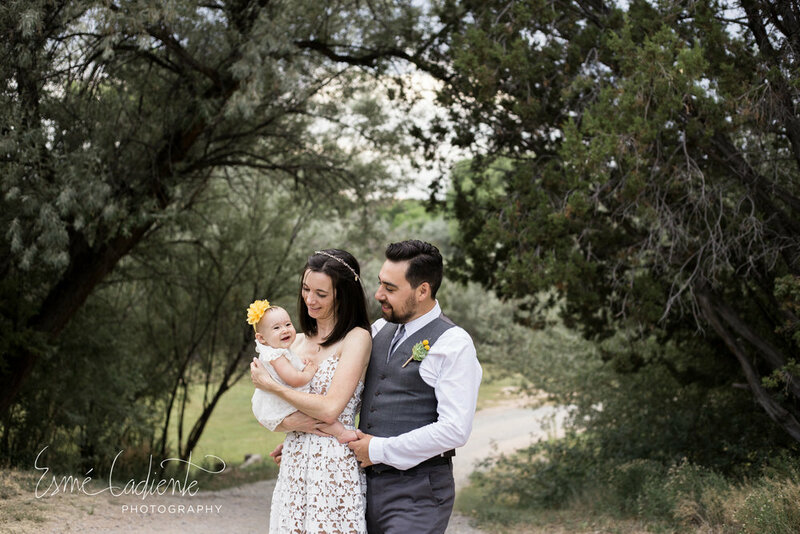 They decided it was finally time to just do it, and with the help of family and friends, they pulled together a lovely summer wedding at a private residence just outside of Santa Fe, NM in no time at all. They picked 7/7/17 as their wedding date. 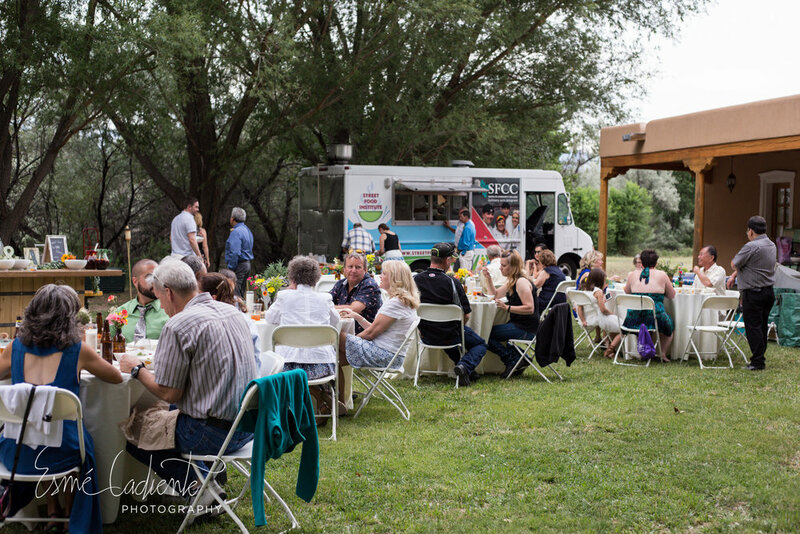 The Santa Fe Community College culinary school food truck catered the wedding with delicious tacos made from local ingredients. 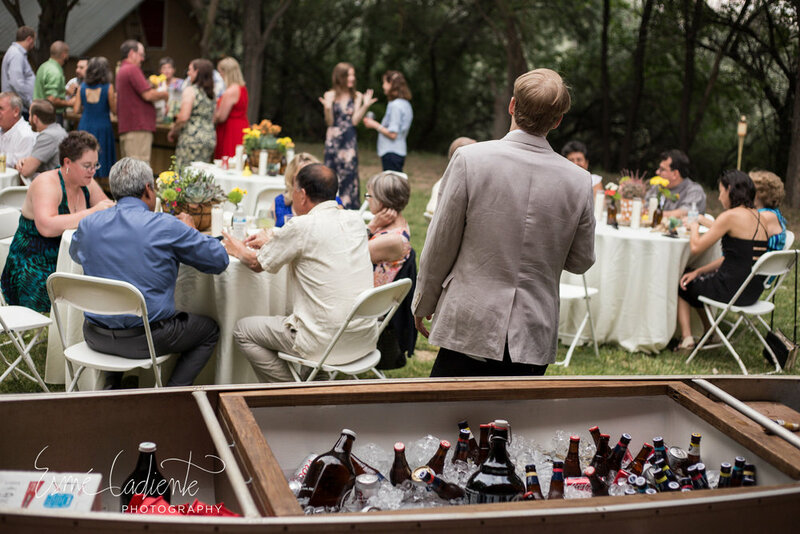 Family flew in from all over the country to gather for this joyous occasion on a perfect summer night. Thunder clouds rolled around in the background and wind made a brief debut, but the stormy weather only made the scenery even more beautiful. 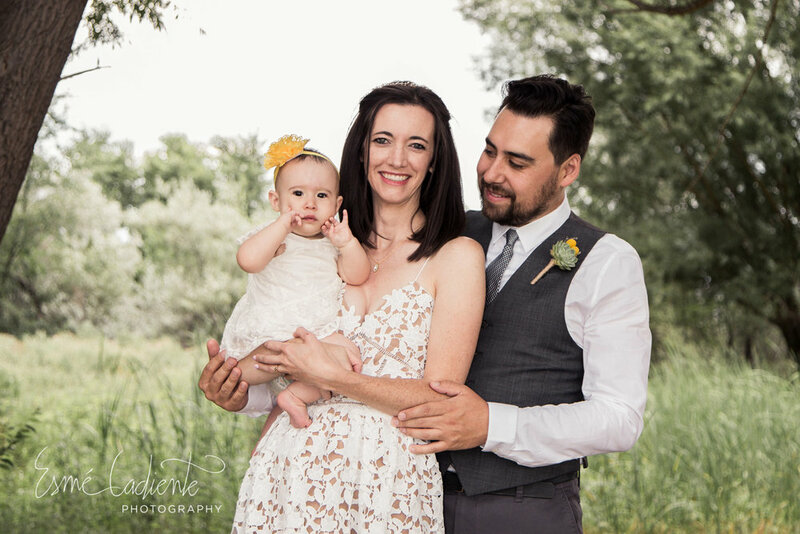 It was a perfect wedding for this sweet couple, and of course, for baby Evie who had the wonderful opportunity to participate in her parents wedding. To access their complete wedding gallery, click the link below. 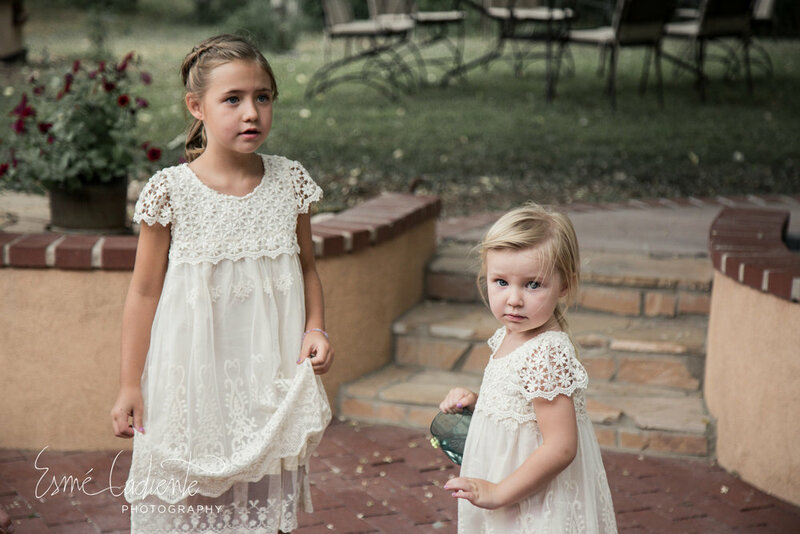 You can view and order prints from their complete wedding gallery.